We are delighted to announce that Scoro is now a FrontRunner among Project management Softwares on Gartner review site network. 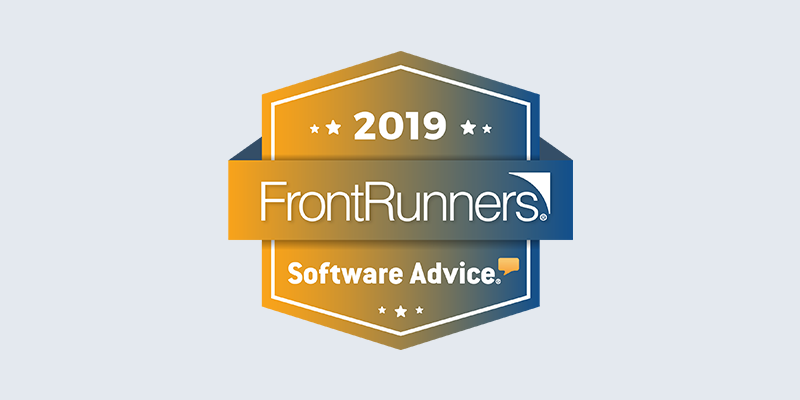 This achievement is especially noteworthy because FrontRunners Quadrant highlights software providers that have received the highest scores from the everyday users of the products. 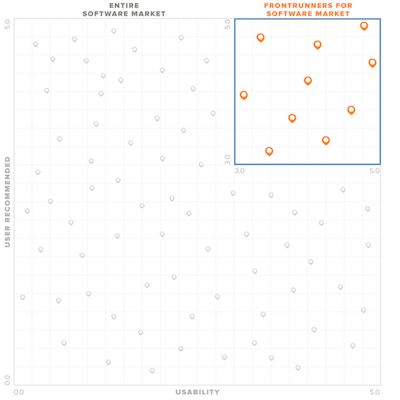 From over 525 Project Management products, only those with the top scores for Usability and User Recommended were featured in the FrontRunners Quadrant. With an overall value score of 4.63 out of 5, Scoro has proven to be an extremely handy tool for many users. We don’t take this kind of support from our clients for granted and see it as an important validation of our hard work and dedication. It also gives us a boost to continue to work on our product to add new features. Disclaimer: FrontRunners constitute the subjective opinions of individual end-user reviews, ratings, and data applied against a documented methodology; they neither represent the views of nor constitute an endorsement by, Software Advice or its affiliates. What makes Scoro often stand out are the holistic business and time management features, comprehensive dashboard and business analytics, as well as high customizability. These features make it especially suitable for professional services companies. I have a much better overview of my work. Scoro draws together a calendar, e-mail, notebook, document management etc. I can share simply all the information with colleagues if needed. In one service I can have a sales pipeline, invoices and dashboards. It is a single solution that I need for my small company. It is web-based, so I and my teams can access it from everywhere. 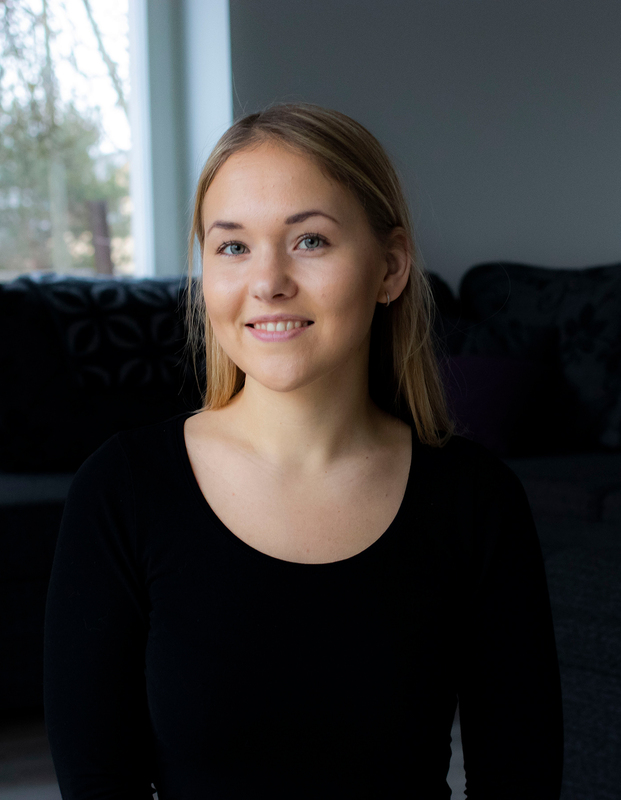 It can be set up to automate some of your everyday routines, saving you time that you can use on more profitable things. The system offers a simple, intuitive UI and allows us to manage projects effectively. Their customer service has always been excellent. The goal of the report is to help small businesses to make more informed decisions about what software is right for them. Scoro is an end-to-end business management solution for creative and professional services. It allows companies to control their entire workflow from one place. It helps to streamline work and eliminate routine tasks. The chart-topping scores from users also reinforce that Scoro provides the tools users need to ensure every business runs as smoothly and efficiently as possible. If you want to find out more about Scoro, schedule a live demo or take a tour of the software with a 14-day free trial.